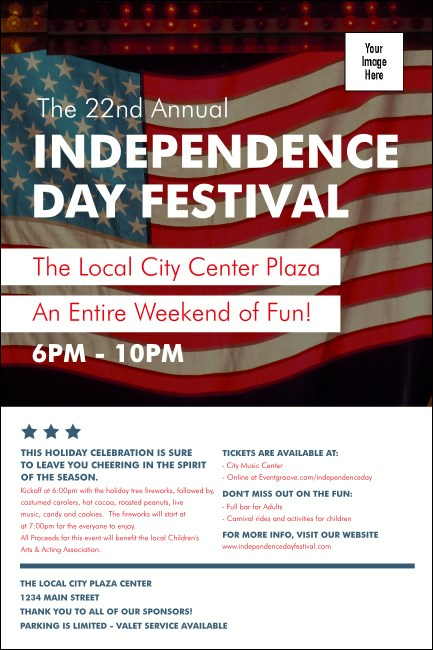 Boost your ticket sales with patriotic American pride when you advertise in advance with Fourth of July Posters for your outdoor event. These Poster templates feature a beautiful red, white and blue American flag with pretty red lights in the background, and provide you with space to upload your own unique image. Advertise like a star with TicketPrinting.com.